If you have been looking for an artificial flower stick that comes out just like a natural one, you have landed at the right place. 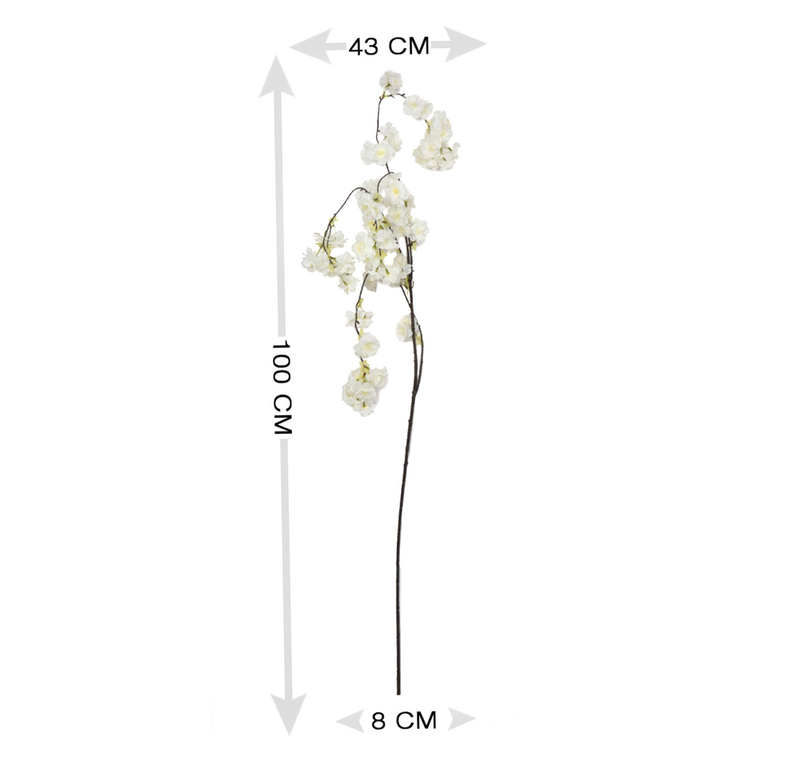 This blossom cherry flower stick is just what you need to adorn your place with some beautiful flowers. The white color of the flowers which is also a symbol of peace and tranquillity keeps the environment of your home convivial. The stick placed in a vase that goes well with the color of the flowers and the length of the flower stick adds further to the picturesque beauty of blossom cherry. If you are also fond of these flowers, then waste no time to grab this flower stick from @Home.